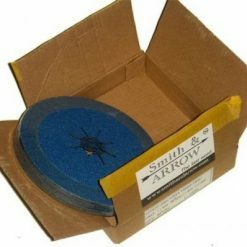 Smith & ARROW Zirconia Fibre Sanding Discs are excellent for sanding stainless steel, mild / black steel, all metal, aluminium, wood, fibreglass, plasterboard and painted surfaces. 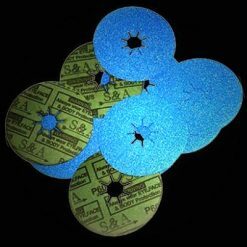 These discs are coated with heavy-duty abrasive fiber designed for jobs ranging from heavy stock removal to surface blending. Made from zirconia, they will significantly outlast brown aluminium oxide discs. 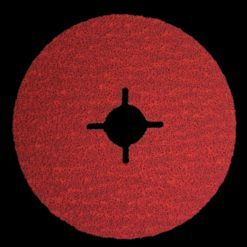 These premium fibre discs offer unparalleled performance in applications wherever rapid material removal is required. 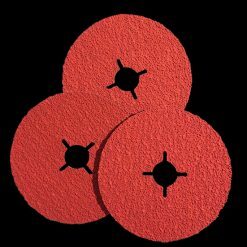 Zirconia Sanding Discs are available in all sizes in 40, 60, 80, 120 grit.